The air conditioner is one of the top modern developments. With a rise in temperatures all over the world, it has become a staple in many homes with many people choosing this as their preferred method of regulating the temperature in the summer. Unfortunately, the air conditioner does have some maintenance that goes along with it and you will need to keep it in the best possible condition to have it working smoothly and effectively. While there are many parts to an air conditioner, the AC coils are essential to the cooling process and need to be cleaned and maintained effectively. AC coils are broken into 2 different types. The evaporator coil is the main part responsible for giving you cool air. Air also goes through the condenser coils which is the second part of the cooling process. Despite what many people believe, the air-conditioner does not cool the air. It actually just removes the heat from the air. The evaporator coil will extract the heat as it passes through and then, through the help of a refrigerant, enable you to have cold air. The heat is extracted and released outdoors while your home is kept cooler. The fan that is included on top will blow the hot air over the condenser coils and this releases some of the heat from the refrigerant before it is passed outside. These two coils need to remain in optimal condition for your air conditioner to have an effective cooling process. One of the biggest mistakes you could make is using your AC unit with dirty coils. One of the first problems that you will have is a lack of cooling in the home and the coils will not be able to effectively extract all of the heat. The only way to have your air conditioner work effectively is to make sure the coils are kept clean and free of contaminants. The dirt or contaminants will eventually act as a barrier to the coils and this keeps the heat from escaping. It might also lead to drainage problems but fortunately, it can be fixed quite easily. After the coils have been cleaned thoroughly, your AC unit will be working as if brand new. Cleaning should be done often to ensure that the dirt does not build up. 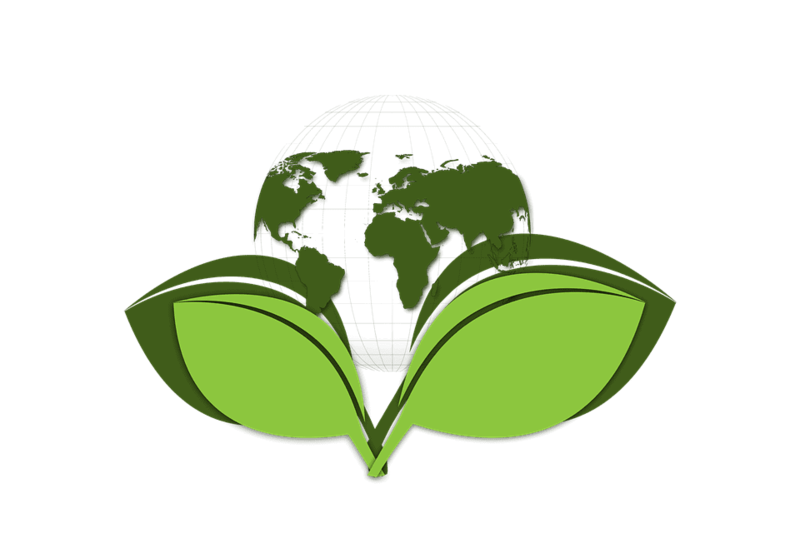 Alkaline-based: Acid based products are commonly found in many cleaning products. The acid will clean your coils, but dirt on coils can be rather stubborn and the acid could damage the coils. Most AC manufacturers will recommend using only water, but a gentle alkaline-based substance can also work. Usability: The product should be easy to apply and you should not need to have to put in too much effort. If an additional sprayer is included, this will make the application process much easier and you need not worry about applying too much of it. USDA Authorized: If a product is U.S.D.A. Authorized, it means that it will be safe to be used near food. This also means that you need not worry about any poisonous substances that could cause problems for your health either. Price: Some cleaners specifically designed for cleaning AC coils can be more expensive than the general-purpose cleaners you are used to. Fortunately a little can go a long way. Versatility: While you might only be using this cleaner once every now and again for your coils, you should seek something that can be used elsewhere as well. This gives you more versatility and makes it that much easier for you to use the product on removing dirt and grime elsewhere. No harmful additives: Chlorinated solvents are quite harmful to the environment and while they do the job of cleaning a little faster and better, it does not bode well for your health. While it can be hard to find something completely green, you should consider something ozone-friendly. When it comes to cleaning substances, it can be hard to specifically say that certain ingredients are better than others are. One of the main things you need to keep in mind is the safety. You should check the labels for safety information and whether the product can be damaging to your health as well. 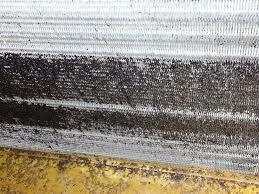 Cleaning your condenser and evaporator is a job you can do yourself, but it requires a lot of care. Be careful not to bend the fins of the coils or to break, move or bend any of the tubes around. Of course, it’s always important to shut off your air conditioner first to avoid the danger of electrocution! However, if you’re not comfortable with this, or fear damaging your system, make an appointment with an HVAC contractor. It would be great to get a maintenance contractor that includes this service as well! The top AC coil cleaners can be something of a tough prospect to find. With so many different cleaners on the market, you might get lost in your search for the right one. Fortunately, we have done some research to help you find the ideal coil cleaners to make your life a little easier. Here are the top coil cleaners on the market today. 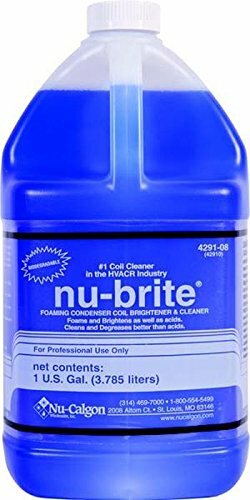 The Nu-Calgon 4291-08 Nu-Brite is first on our list and this is an alkaline-based product. It also creates foam that will melt away all of the dirt and grime and leave your coils looking fresh and spotless. With a 4:1 mixing process, the bottle should last you a couple of cleaning processes and this does add up to you saving money. Using this will require a plastic sprayer and you will need to rinse down the coils thoroughly after applying it. The product is corrosive and this does mean that when it is used for too long, you might have some troubles. It is also versatile and can be used for cleaning radiators as well. For the price, this is a real bargain. 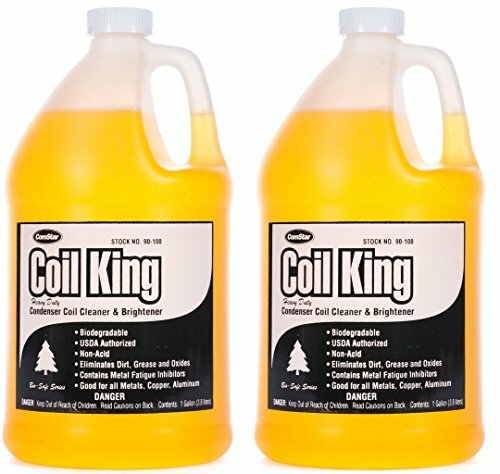 The ComStar 90-100 Coil King Coil Cleaner is another alkaline-based cleaner. While it does not foam up as much, it has the ability to remove virtually any dirt and grime on your coils. 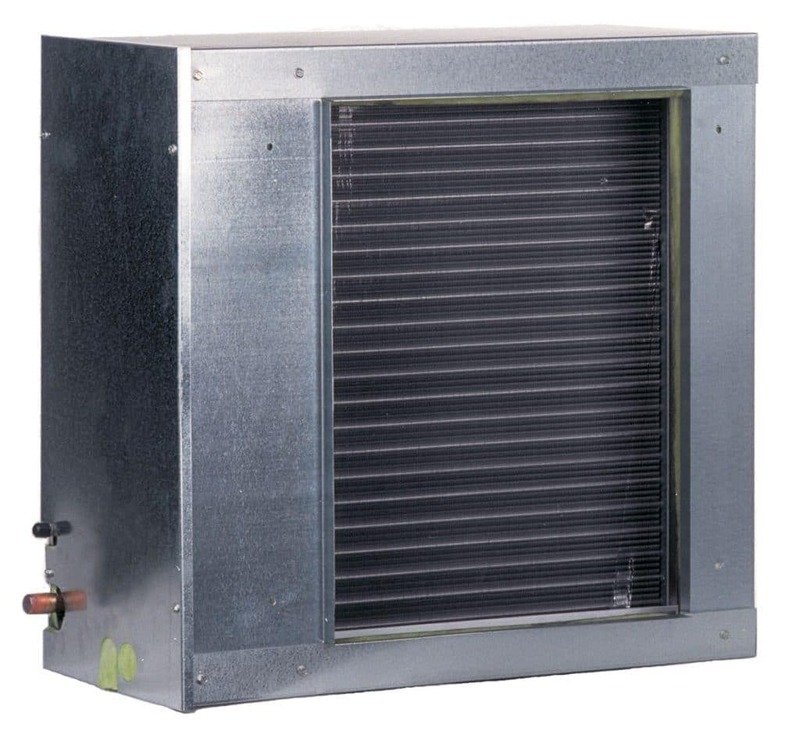 It can be used for metal air filters and does not corrode the materials as easily. This coil cleaner also claims to strengthen the metal, making it a little more durable. The coil cleaner can be found in multiple different amounts and it is generally diluted by 3-10 parts of water. This will depend on the amount of dirt on your coils and the concentration needed for thoroughly cleaning the coils. It is also worth noting that this product is really affordable and this does make it a great investment for cleaning. 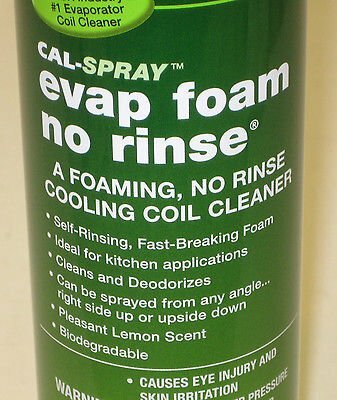 The Nu-Calgon 4171-75 Evap Foam No Rinse Evaporator Coil Cleaner is a heavy-duty detergent that will immediately start foaming once it comes into contact with dirt and grime. It is easy to apply and the sprayer can make this non-hazardous and easy to use. The foam will evaporate once it has done the job. While many companies claim this is sufficient, there are also many HVAC professionals who do feel that it still needs to be rinsed off. This detergent also includes a fresh lemon scent that will be working perfectly with your AC unit. This enables us you to have a fresh smell whenever guests are invited to your home. This detergent spray is actually quite affordable, but you might not get as much use out of it as with something that can be diluted with water. The AC-Safe Foam Coil Cleaner is another detergent-based cleaner that is effective at removing stubborn stains and grime from your coils. It can easily be applied with the help of the sprayer can and the company claims you don’t need to worry about rinsing it down as it is non-corrosive as well. The product is also scented and this removes bad scents that you need to deal with from if the coils have been left for prolonged periods. While this formula does not require you to scrub or brush the coils, it is certainly helpful to do so and this does make life somewhat easier for you as well. It is really affordable and does an excellent job of removing pet hairs and clogged coils. This product is highly recommended if you need something quick and strapped on a budget. Lastly, we have the CRC Foaming Coil Cleaner. Much like the previous 2; it is also a detergent that is available for use in an aerosol can. This formula does not require any rinsing and can be applied with real ease as well. It will remove any odors you need to deal with and clean all your coils in a matter of minutes without brushing. What we like about this detergent is the fact that no harmful chemical are used that could damage the ozone. This does make it as close to a green product as you could possibly find and also friendly for anyone in the home. It is reasonably priced and can be used on all metal blades and coils for a thorough clean. Operating any appliance continuously without cleaning and maintaining the internal components is a dangerous practice that could lead to costly repairs or replacement of the entire appliance. By following the manufacturer’s recommended maintenance schedule and cleaning your coils regularly, your AC unit should be ready for the extensive use that summer months often require. Air conditioning cleaners are effective at helping you do this and they are highly recommended by AC specialists as well.